According to the Council the new customer service centre will offer improved facilities for customers after it moves out of Park House on Park Road, Wallsend. The Park Road customer service centre will close at 4.30pm on Thursday, March 29, 2012 and the new Customer Service Centre in the Wallsend Forum will open at 8.45am on Monday, April 2, 2012. On Friday, March 30, 2012 customers will have to call a contact centre on TEL: 0345 2000 101 or call in at the North Shields, Whitley Bay or Killingworth Customer Service Centres. According to the Council, Wallsend Tenants seeking to make a rent or council tax payment can visit the council’s website or use one of the many PayPoint facilities in Wallsend. 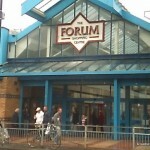 The move is taking place despite the fact that the council is still working with NewRiver, The Wallsend Forum’s new owners, to incorporate the new customer service facility within their future redevelopment plans. Could anyone tell me if the Town Hall is still open, please.